10:15 am - Last Swim Wave Start; Splash and Dash! Complete athlete profile online. This information is used by the announcer on race day. Forms can be found by clicking here. Please complete prior to race package pick up. Find out when your heat time/swim time is. There are a number of swim heats depending on age group. This year there is NO pre-race meeting on Saturday, August 11, 2018. However there is an FAQ to answer your questions, and you can email us at koskamloops@gmail.com if we missed something. There will be a pre-race briefing on race morning before race start. Please review the race maps (Course maps can be found below) with your child for their age group before the race! If you registered more than one child in your family, please make sure to look at the correct maps for each child. Maps will also be posted at the body-marking/check in area. The age of your child is their age as of December 31, 2018 (if your child is 9 but turns 10 before December 31, then you look at the 10 year old maps). Athlete drop off will be on Schreiner through the park (map attached). There will be no access via Fleetwood or Parkcrest race day morning. Where should I park? There will NO PARKING IN THE PARKING LOT street parking will be on a first come, first served basis. Do not park anywhere on the race route including: Edgemont, Briarwood, Rosewood, Parkcrest, Fleetwood, Greenfield, Young, Crestline, & Schreiner. Arrive early (7 am at the latest) ...check in and get body marked. For safety reasons, all competitors will be marked with permanent ink with their race number. Listen for the marshaling announcement for your age group. Expect to be called onto the pool deck 30 minutes before your heat. Follow the direction of the swim marshal. Cheer on all competitors while you wait to race. Pfd's (lifejackets) or kick boards may be used. Kick boards will be provided at the pool. Smile...everybody is cheering for you! There will be 2 distinct transition areas this year: one for the kids 5 - 7 (closest to the pool in the fenced area) and the other kids 8 & older. Only athletes and race volunteers are allowed in the transition area during the race. 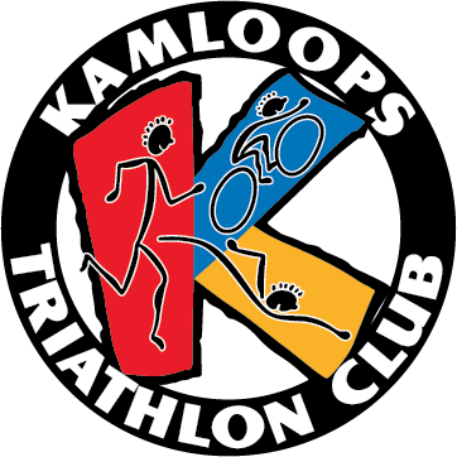 We have a great bunch of volunteers that will help the littlest of athletes dry off, get their helmet on, do up shoes, and attend to all their race needs! We encourage parents and friends to cheer on athletes from the transition perimeter and along the course routes. A water station will be located in transition. Make sure you drink lots! Keep right, stay inside the traffic cones and obey all traffic marshals. There will be traffic marshals reminding you to slow down in the counting zone on Crestline. Make sure to obey traffic marshal's directions to slow down. Familiarize yourself with your age specific route(s). Water is provided on the run and bike course as well as in the transition and finish area.